The NIV Study Bible was published in September 1985. Since then, more than 10 million copies have been printed. 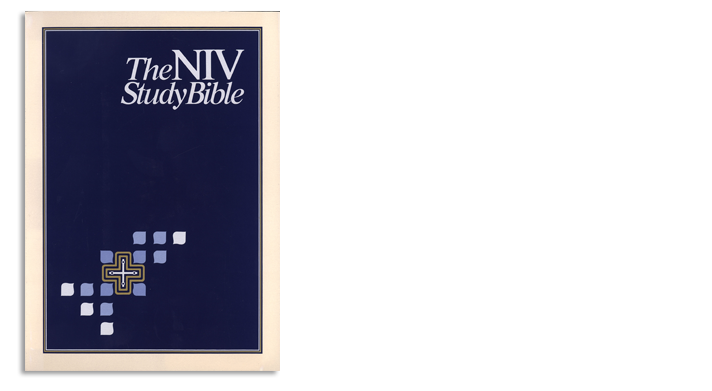 After seven years of planning, research and writing, The NIV Study Bible finally reached the hands of the public in September 1985. Since the release of the full NIV Bible in 1978, the Committee on Bible Translation (CBT) and Zondervan Publishers had hoped to produce a study version that would do one thing: help the reader better understand the Bible. Even in places where the English translation was clear, notes and references could further clarify the meaning of the text. The NIV Study Bible provided clarity and context in abundance, with 20,000 notes and numerous maps, charts and diagrams. Vernon Grounds of Denver Conservative Theological Seminary said it was the most helpful edition of Scripture he had ever seen. “In fact, I suspect … [it] is the most helpful edition of Scripture ever published,” he added. Forty-four scholars contributed original study notes to the project, and Ken Barker, a member of the Committee on Bible Translation, served as its general editor after the original editor, Ed Palmer, passed away in 1980. The diversity in the scholars’ backgrounds served as an added check that prevented the notes from having a distinct denominational or theological bias. If an agreement couldn’t be reached by the general editor and associate editors regarding the meaning of a passage, the notes would offer two or three views on the matter. “We had to take a more cooperative approach because of our aim,” Barker said. The desire to reflect the broad evangelical community can be seen in the notes on Revelation 20:2, where John describes Satan as being bound for a thousand years. The meaning of this millennial period is heavily debated by evangelicals, and to favor any one viewpoint would only serve to alienate part of the evangelical Christian community. As a result, the editors chose to describe the amillennial, premillennial and postmillenial views of the passage rather than focus on one particular interpretation. The response from scholars when the finished Study Bible appeared was encouraging. Yet the Study Bible wasn’t just for pastors and professors. It was for any Christian who wanted to develop a deeper understanding of the Bible. Since its release, The NIV Study Bible has sold more than 10 million copies. As with the NIV Bible, updated editions of The NIV Study Bible have been published over the years that incorporate scholarship developments and text updates. Other study Bibles that have been released over the years focus on archaeology or cultural insights from biblical eras. Continuing in the tradition of providing top scholarship, Zondervan will release a new comprehensive study Bible, the NIV Zondervan Study Bible, in fall 2015.